Qian manages editorial and research operations for Asia Briefing in China. She serves as a legal expert, providing foreign companies with advice on doing business in China. In addition, she manages all China Briefing magazines and guides and consults on business intelligence projects. 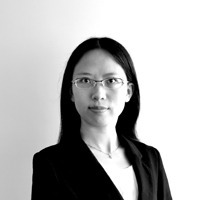 As a legal specialist, Qian leads research and advisory on a range of FDI concerns in China, including pre-investment advisory, business model comparison, corporate establishment, corporate administration, internal control, and inter-cultural management. Qian also leads regulatory monitoring activities for China Briefing. She examines policies to gauge their impact on key FDI sectors, including pharmaceuticals, medical devices, medical institutions, education, cosmetics, health food, and green industries, amongst others. Qian holds LLM in International Law from Transnational Law and Business University, Korea and a BL in Law from China University of Political Science and Law, China. She is a Chinese native.